People are becoming more passionate about growing their own food and showing a greater desire to commit to the values of sustainable development. This is evidenced by the increasing numbers of vegetable and herb gardens in back gardens, on roof terraces and in allotments. In response to this trend, Fiskars is launching an exciting range of tools for taking care of kitchen gardens. The Light products makes gardening a breeze: they are light, so they are easy on the back, and they encourage children to get involved in gardening. The tools are also light in colour, so even ardent interior designers will not be put off. 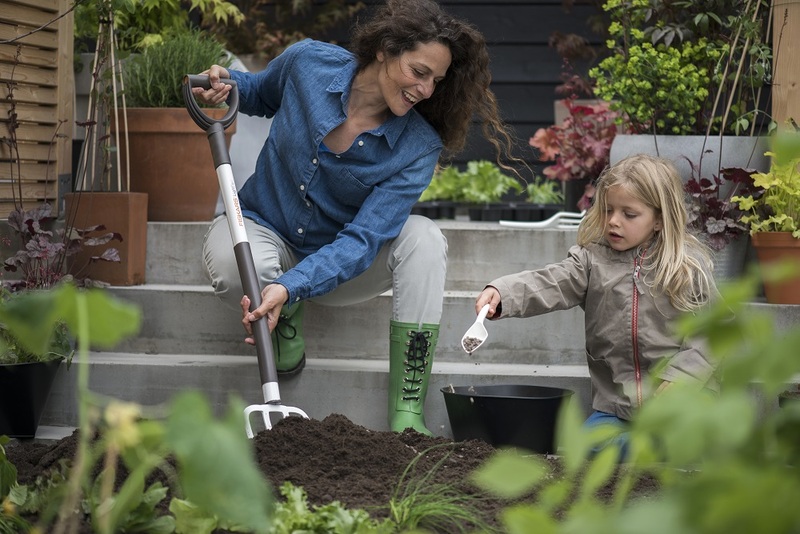 Fiskars Light tools offer comfortability to digging, planting, turning and raking tasks in soft to normal garden soil. The tools are easy and convenient to use by all gardeners even in tight and small gardens because of the lightweight aluminium body and smaller size. The tool head is hardened boron steel for durability with a pointed cutting edge for easier penetration to soil. The handy D-handle gives a good grip and easy solution for hanging for storage, and features a comfortable soft grip to insulate from cold. We simply love that these tools are accessible to ANYBODY – no matter your age, fitness or size. What a wonderful way to get everyone involved in the garden!